Well, it is a probability that they’d tell us how much they hate us for riding them. So maybe it’s better that they can’t. 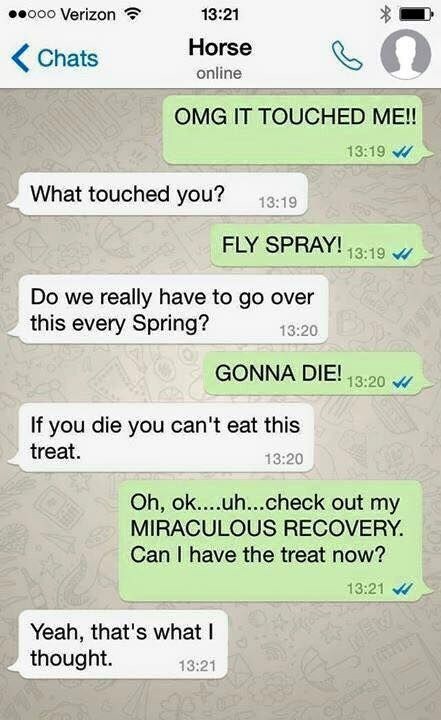 However, what if they could text? 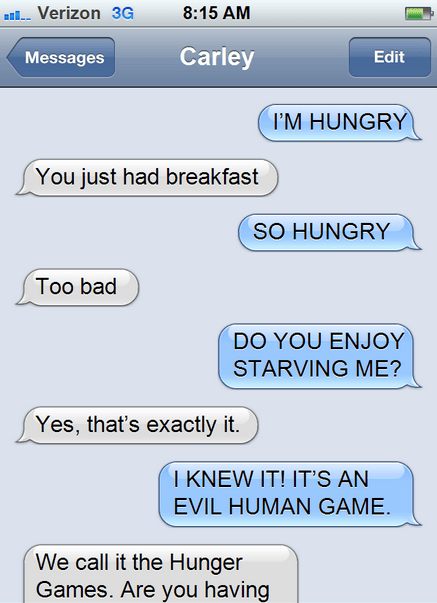 What if they somehow had opposable thumbs and could use a mobile? I know it is a terrifying thought but one person has already done it. Not the part where they ‘evolve’ the horses, the part where they show us how horses would act in the text. This might not be 100% factual but do we really care about that? 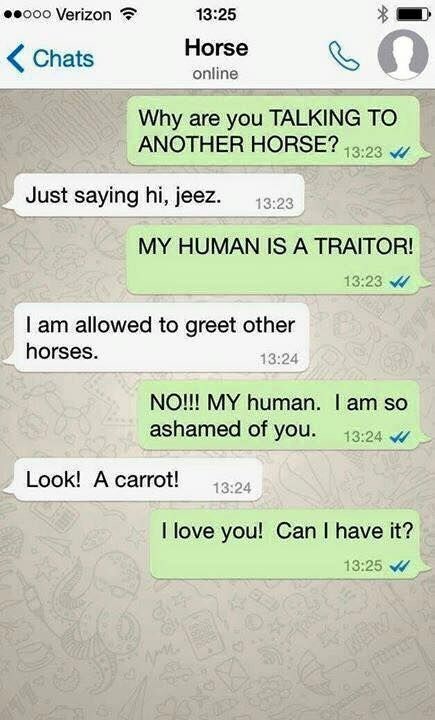 So scroll on below and take a look at these hilarious texts between a horse and his human. 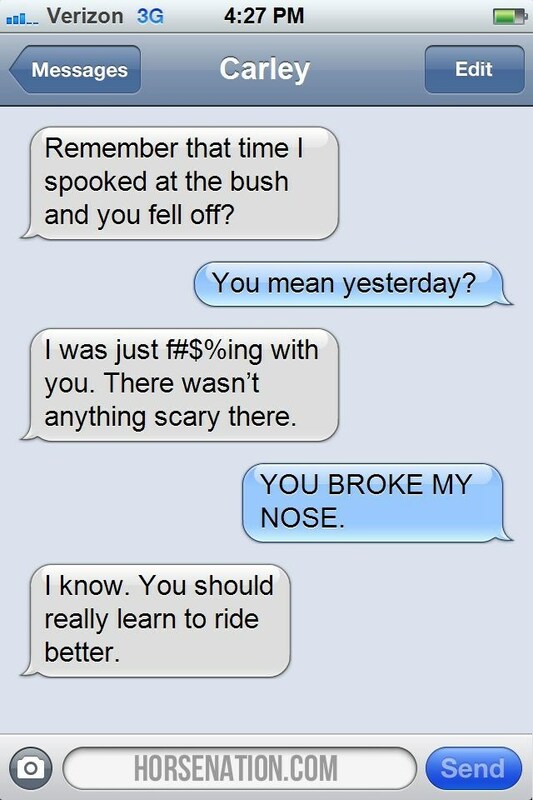 #1 Well, You make a good point horsey! #2 A little drama queen huh? 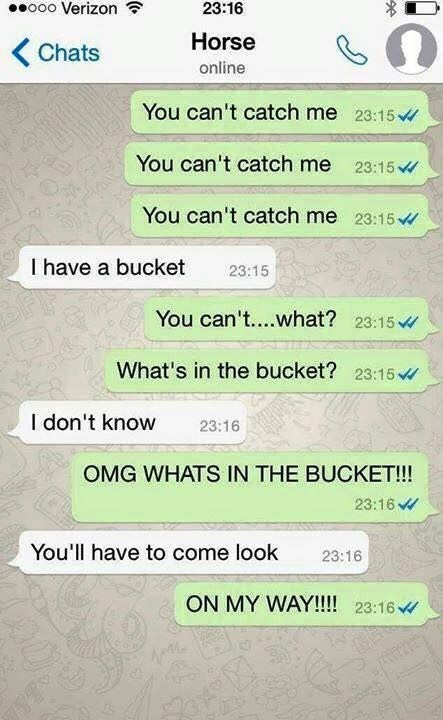 #3 The bucket is his kryptonite. #4 Do I sense jealousy!? #5 The hunger games for horses. #6 Well, I wonder why it tastes like crap. 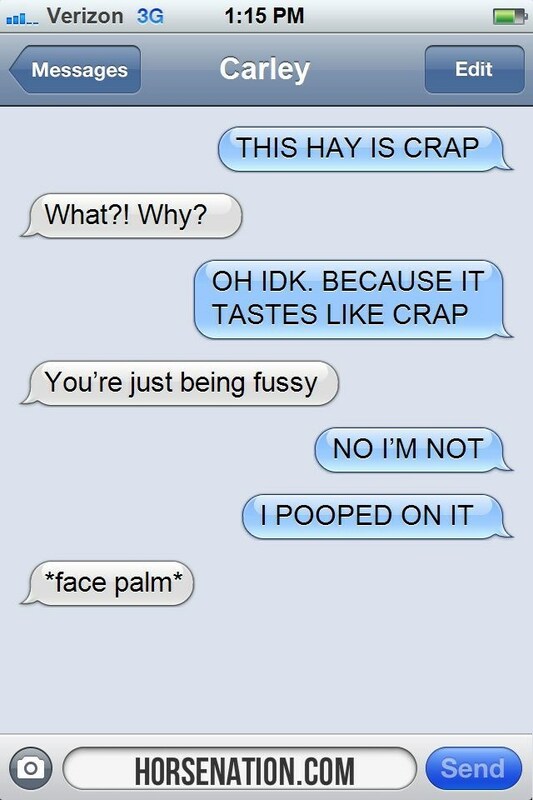 #7 The human sure does facepalm a lot. 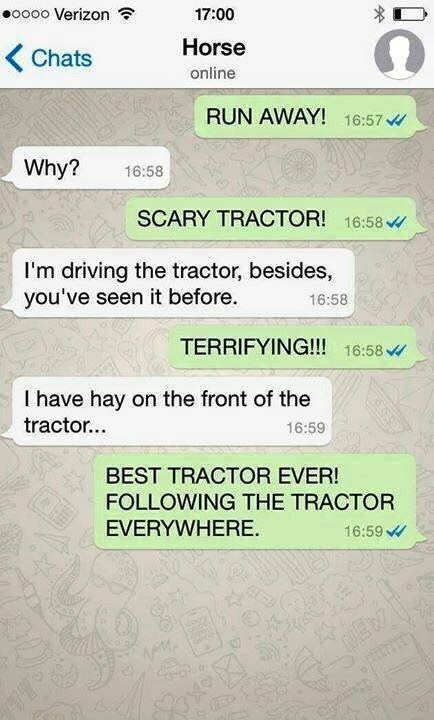 #8 The tractor is life! Some of these might seem mean, but trust me it is the truth. On second thought, you shouldn’t since I have always been scared of horses and never even go close to them even though they are quite majestic and I’d love just to pet them. 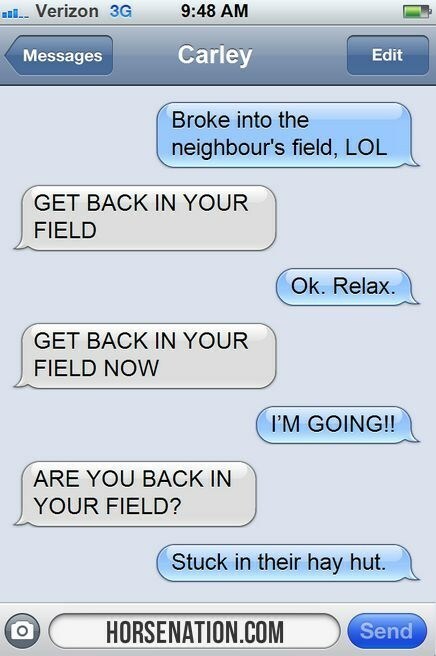 Do you have a horse? 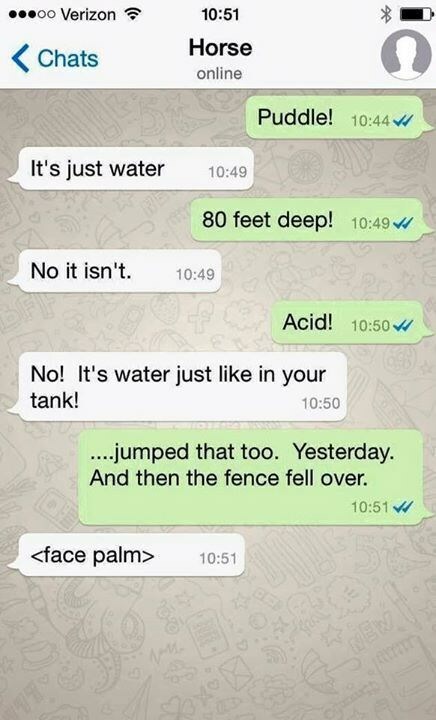 If so how accurate do you think these texts are? If he could text what would he say? Comment down below and let us know. Don’t forget to share so your friends can enjoy these little treats as well.